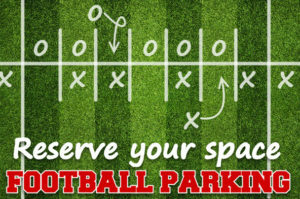 Reserve a parking space | UNL Band Alumni Association, Inc. Parking spaces go quickly and it is highly recommended you reserve a space in advance in one of the area parking garages. Visit the City of Lincoln Parking Services webpage at parkandgo.org to reserve a space. For early arrivals, print your receipt and use the installed barcode scanners for the monthly parking to scan the barcode on your receipt.